We open the door and walk into the roasting room at the tea factory. The air is hot and the smell of tea strong. Two walls are lined with bamboo baskets full of tea. The baskets sit on a concrete bench which holds the charcoal to roast the tea. Roasting over charcoal is more complex and requires knowledge of various steps to complete. It is also hard work done in a hot environment. 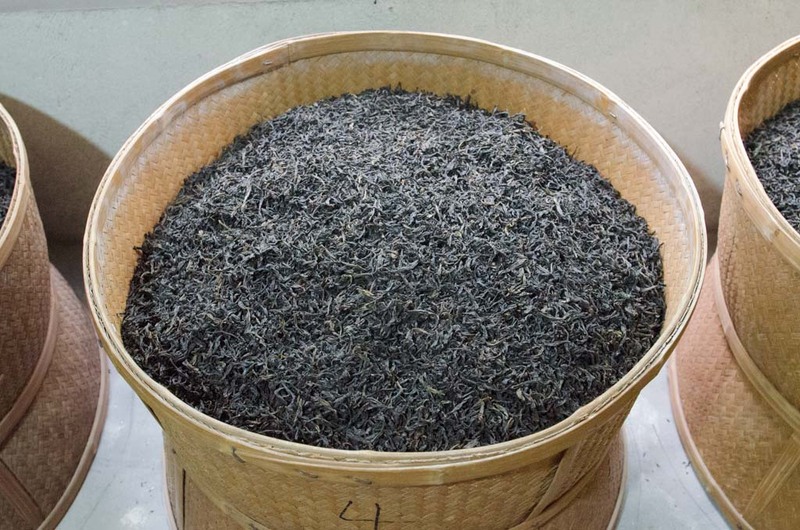 Of the various steps of roasting tea, this post will focus on the details on a single step, turning the baskets. 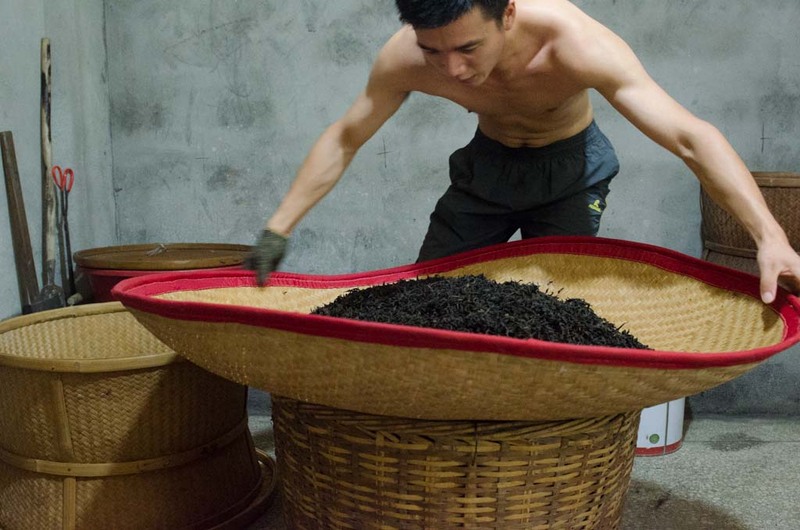 The baskets are turned to ensure the tea roasts evenly and to check the progress. 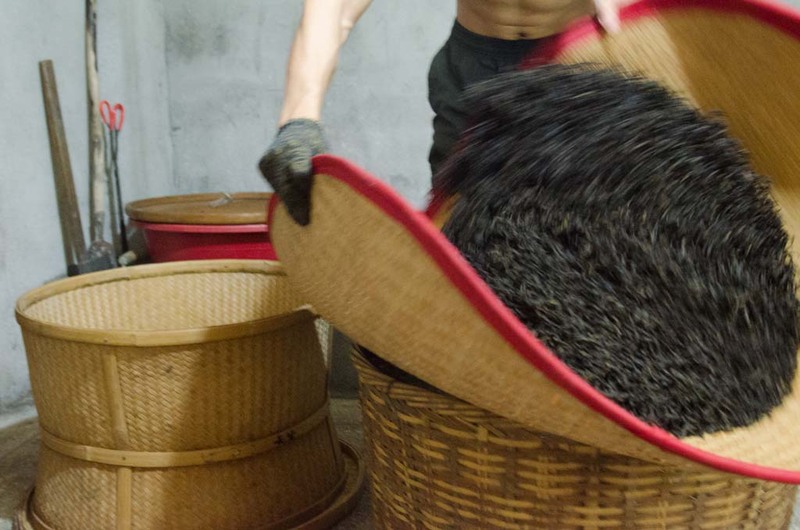 First a basket is picked up and its contents poured onto a large bamboo basket. The bottom of the roasting basket falls out with the tea and is soon set aside. Step 1: Upending roasting basket onto flat bamboo basket. 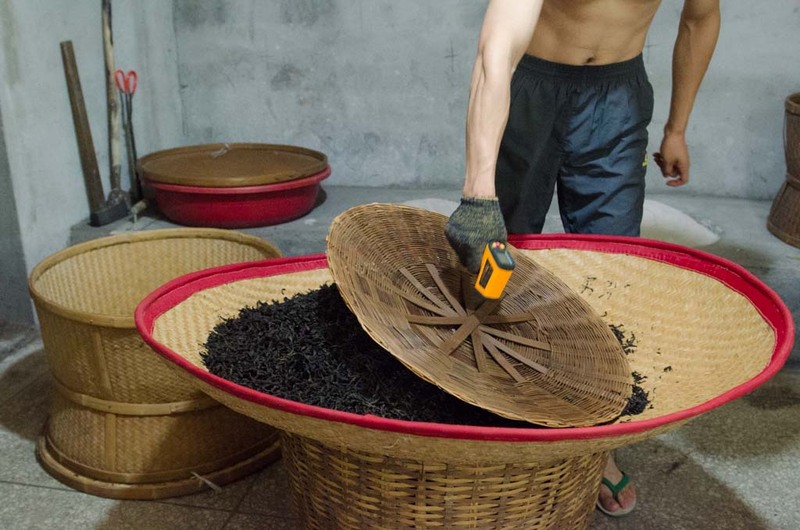 The temperature of the basket bottom, as well as the charcoal and the tea is measured with an infrared thermometer—essentially the only modern convenience used in the process. Step 2: The temperature of the removable basket bottom is checked with an infrared thermometer. Step 3: Preparing to toss the tea. 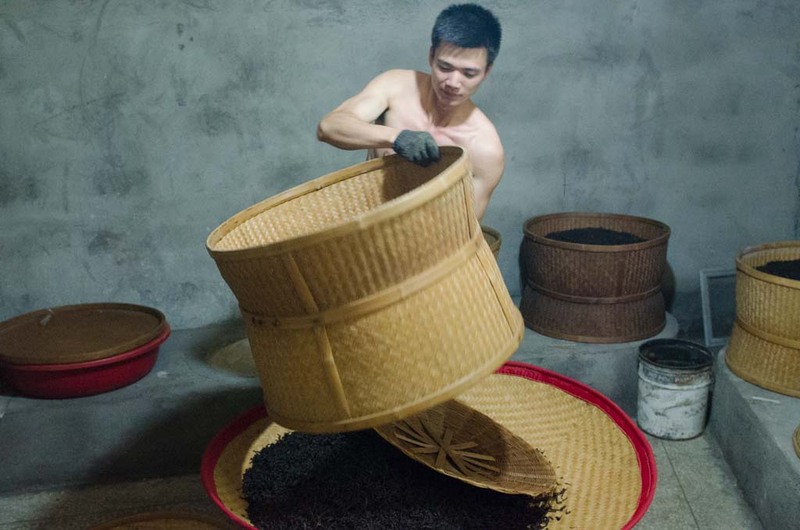 The basket is picked up and rolled side to side to redistribute the tea before the tea is placed back in the roasting basket atop the coals. Step 4: Tossing the tea. Step 5: Basket placed over the charcoal to continue roasting.